A mile to the south of the vineyards, the clear chalk stream of the River Test flows along the valley floor, passing through the villages of Overton and Whitchurch. Three miles to the North lies the high chalk ridge of Watership Down, the highest point in Hampshire, that iron-age man first used as a vantage point. 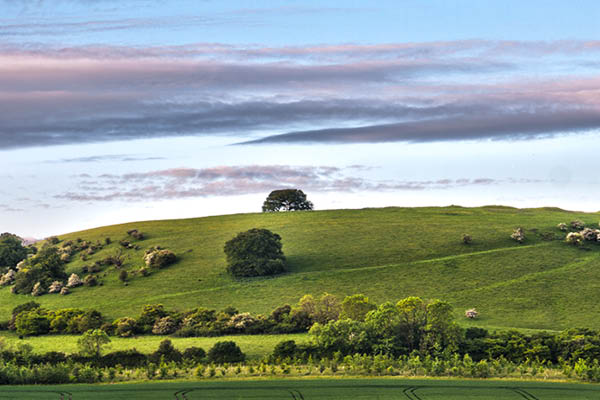 Further down from the ridge, the land falls away in rolling downland and is dissected by dry valleys and winterbournes. Old, flint-faced farmsteads dot the landscape, and winding, single-track lanes and hedges subdue and enclose the land. It is in these quiet, wooded hills, at an altitude of 50-100 metres, that our vineyards lie, on either side of a secluded V-shaped valley, in perfect tranquility. 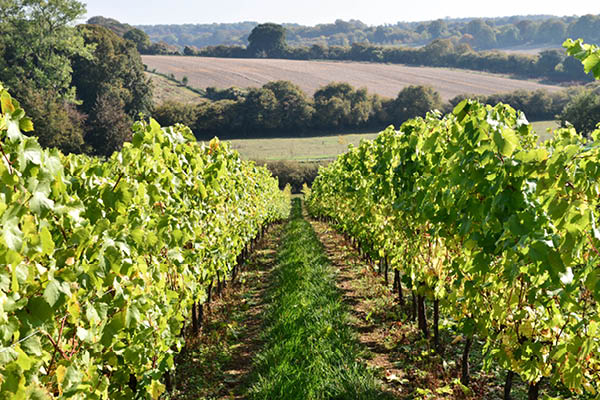 where chalk soils and clay caps disgorge rugged flints that help retain the heat of the sun, warming the top-soils, whilst in the late summer and early autumn the enclosed valley helps trap the last of the season’s heat to ripen the grapes. 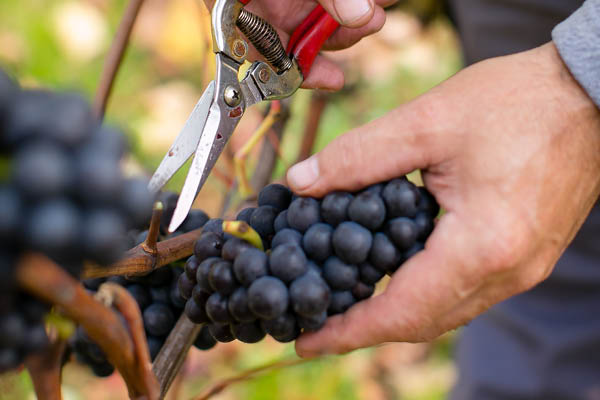 The fruit that then emerges contains the perfect balance of crisp acidity and sweet fruit, as well as the complex minerality, that lie at the heart of all great sparkling wine.